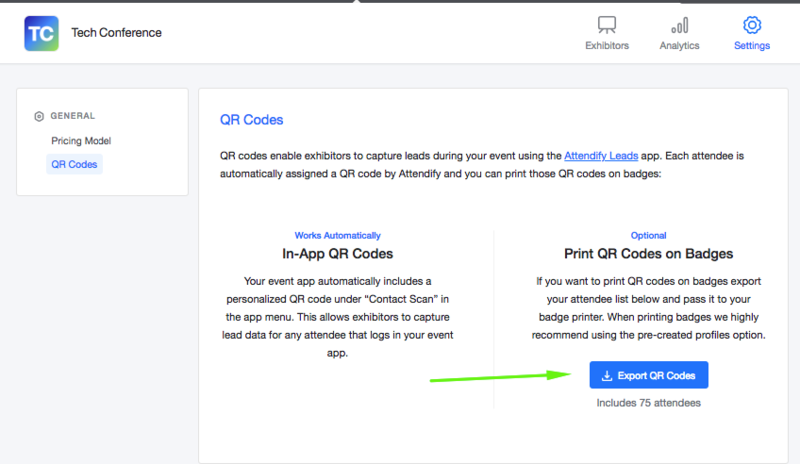 Attendify and Conference Badge have partnered to create a simple process to print badges with QR Codes when using Lead Retrieval system at your event or conference. Conference Badge allows you to easily customize the size, design and information for all your badge printing needs. Follow the steps below to print badges for your event and make it easy for attendees and exhibitors to connect! Export the QR code information from your Attendify dashboard. Here is additional information to help you set up Lead Retrieval for your event. *Make sure you have pre-created profiles for your attendees so we can assign QR codes to each individual. For further instructions on uploading attendee list, feel free to check our dedicated articles for Multi- and One-Event apps. 2. Create an account with Conference Badge. You can visit this page to sign up with your email address or an existing Eventbrite account. 4. 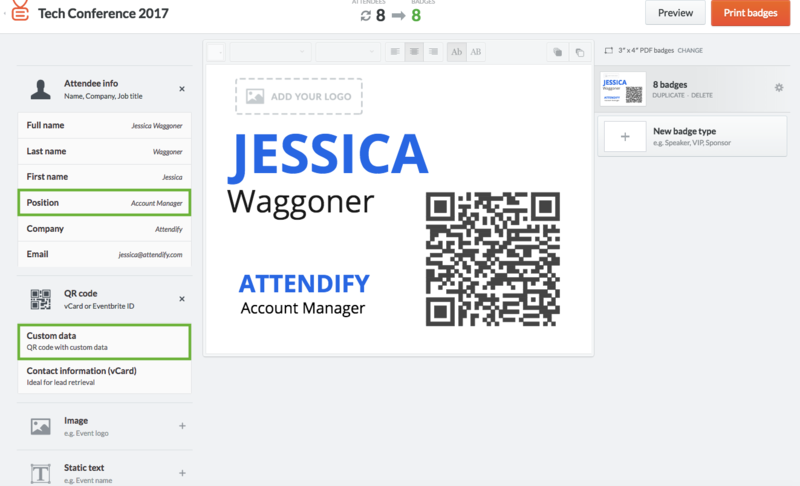 Drag and drop or upload the CSV file with QR codes you downloaded from Attendify's dashboard. 5. Review the spreadsheet columns. 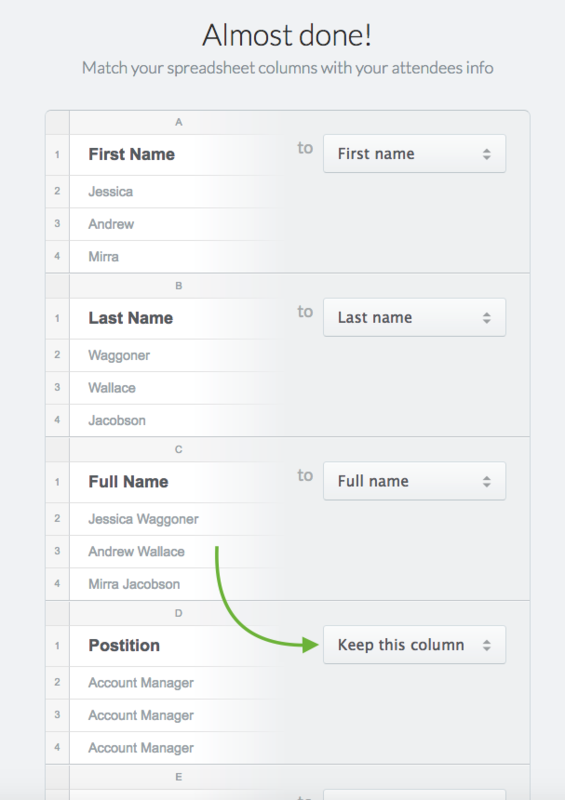 Columns should match with the appropriate default values and you'll want to leave 'keep this column' selected for Position and QR code data. Select 'Start designing your badges' to continue. 6. Choose the product and badge size that fits your requirements. You can print and assemble badges yourself (.25 cents per badge) or have badges printed and shipped right to your door ($2.00 per badge). Conference Badge can even help with on-site printing. 7. 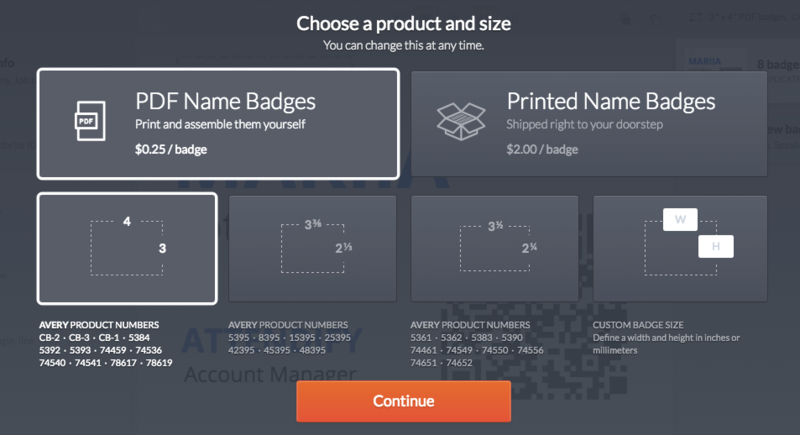 Once you select your product and badge size, continue to the next page to choose a theme for your badge. 8. Now you're ready to format your badge design. 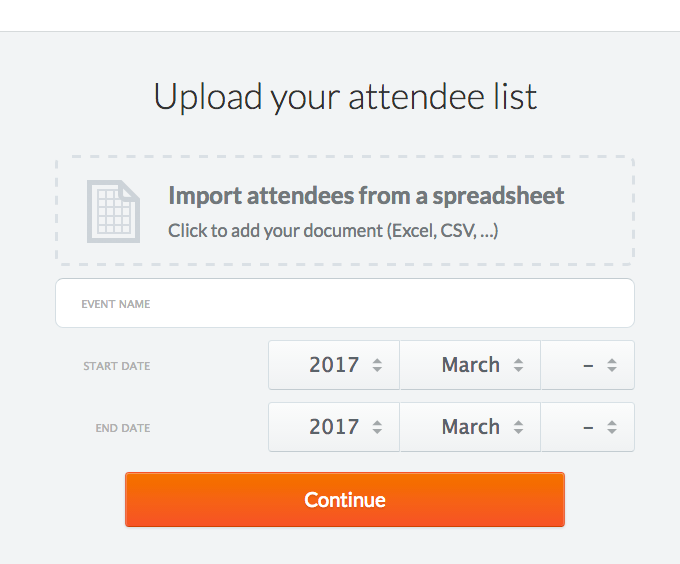 Conference Badge will automatically add the attendee name and company to your template. You will need to add the QR code for Lead Retrieval by selecting 'QR code' on the left hand side of the page, then 'Custom data'. Resize or reposition the QR code to fit with your badge design. We recommend a white background and QR codes sizes of at least 3 cm x 3 cm for the best performance with Attendify's Lead Retrieval scanner. You can also add position or email by selecting Attendee info, then the information you want to add to the badge. Feel free to format the badge information and add additional information for your event. 9. Use the preview button (upper right-hand corner) to finalize your badge design and print your badges once ready!